We will pick you up from your home in Donabate and drop you back too. We will get you driving in and around Donabate so that you are familiar with your home area before taking further challenges. James did all his training in the U.K passing all his exams under the strict scrutiny of the Driving Standards Agency (D.S.A),having obtained the qualification A.D.I. Approved Driving Instructor. Fully qualified RSA ADI (APPROVED DRIVING INSTRUCTOR) servicing your area. James set up his own company in August 2005 and has had no shortage of successful and happy clients from Donabate, who highly recommend him for both lessons and pretests. 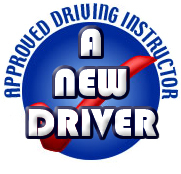 At A New Driver driving school every pupil whether nervous from complete beginner right up to test standard is given my 100% attention. Click on Testimonials to see list of satisfied customers. We can pick a preferred driving route or a route around Donabate. Driving lessons are carried out in 2014 Audi A1 fitted with dual controls for your safety and comes equipped with power steering,air conditioning, ABS and many other safety features Lessons can be carried out in your own car if desired. Learn to Drive At A New Driver and you don’t be disappointed. James’ first time pass rate is well above average owing to his great pride in his work looking for a SAFE, CONFIDENT, COMFORTABLE drive.